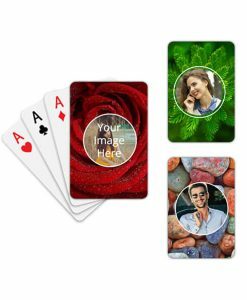 Get your Photo printed on the back of a deck of personalized playing cards Online at yourPrint. You can upload the image from your Device or directly from your Facbook Album or Instagram Posts. You can also get Text printed on the back of the playing cards. 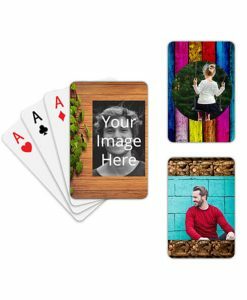 The photo that you submit for printing is printed on the back of all cards in the deck of 52 cards. The print is permanent and durable. 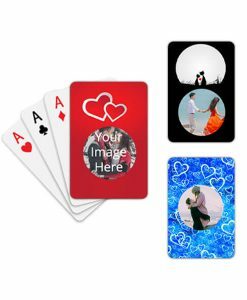 The play cards are also laminated making them long-lasting. 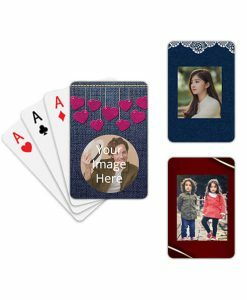 Design and Create your Own Set of Playing Cards Online in India. 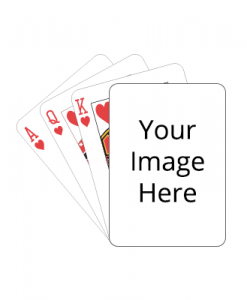 All 52 cards in the set will have the image you upload on the back. This is the perfect Gift for All Occasions. 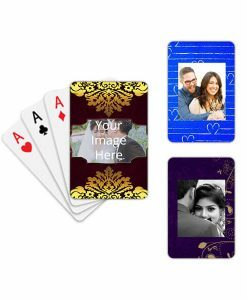 You can also use our pre-designed templates to Customize the Playing Cards as per your choice. 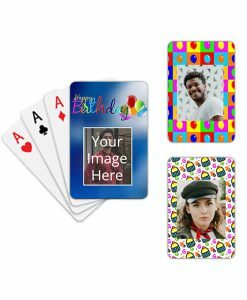 All the cards are completely customizable, you can design them exactly the way you want. 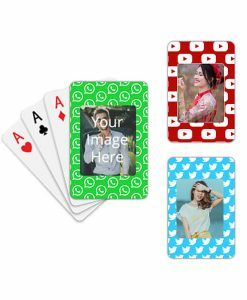 yourPrint delivers playing cards to all cities in India. 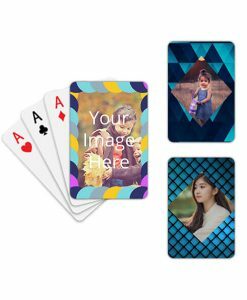 yourPrint offers the Best Personalized Playing Cards that can be completely Customized by you Online with our Designer Tool. 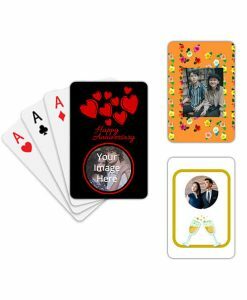 Order Playing Cards from the confirm of your homes within minutes and get them delivered to you within a few working days. The playing cards are neatly packed before shipping. 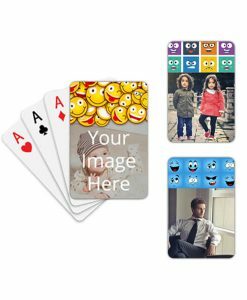 The personalization option available at yourPrint makes the products completely unique.